Sometimes you just need to be grateful and not worry about how you got what you wanted. While this win will not give us all much confidence that the Giants are primed for a postseason run, it was gratifying nonetheless. 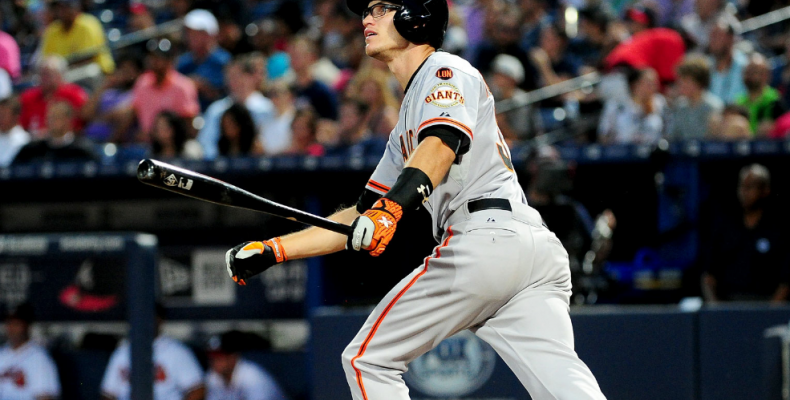 Kelby Tomlinson’s single with one out in the top of the tenth drove home Angel Pagan. Denard Span followed that hit with blistering home run down the right field line that may have broken the sound barrier to give the Giants a little cushion. Sergio Romo secured the save with a game-ending double play after giving up two hits in the tenth. Bruce Bochy did his thing employing relievers like bullets in a Gattling Gun, seemingly never-ending and automatic. The bottom line is the Giants are now tied with the Mets for the first Wildcard spot. This was a game where the Giants bats work up with some big hits. The offense produced with RBIs from Panik, Nunez, Posey and Pence, in addition to the heroics of Tomlinson and Span. Eduardo Nunez made a fantastic play on a pop-up Buster Posey could not find in the San Diego twilight of the home plate area. Denard Span, the much-maligned center fielder was in the middle of a bad September.